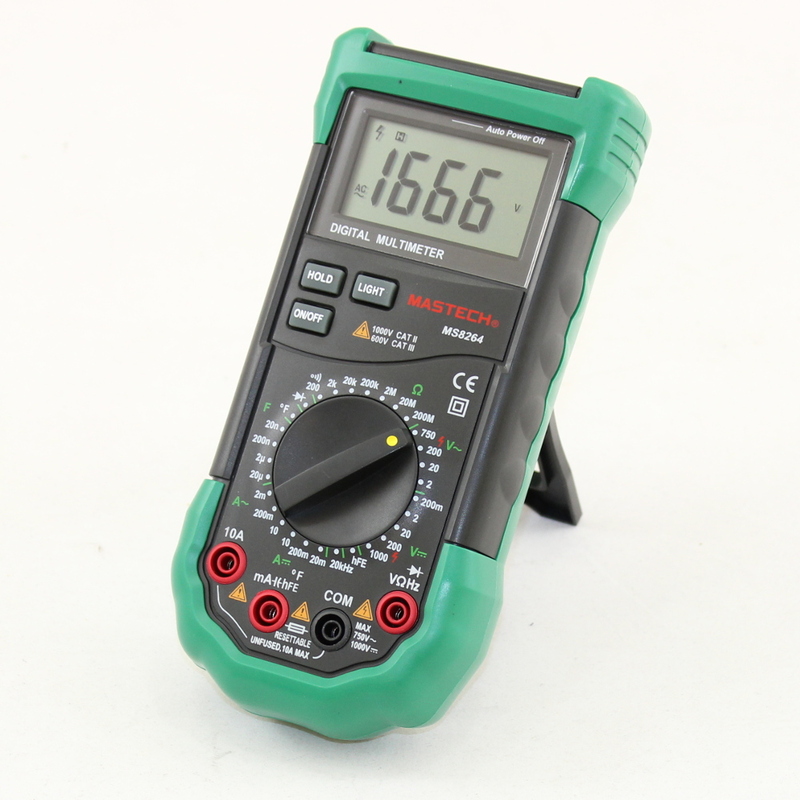 Brand name meters with the same features as the 8264 can cost as much as TEN TIMES AS MUCH. 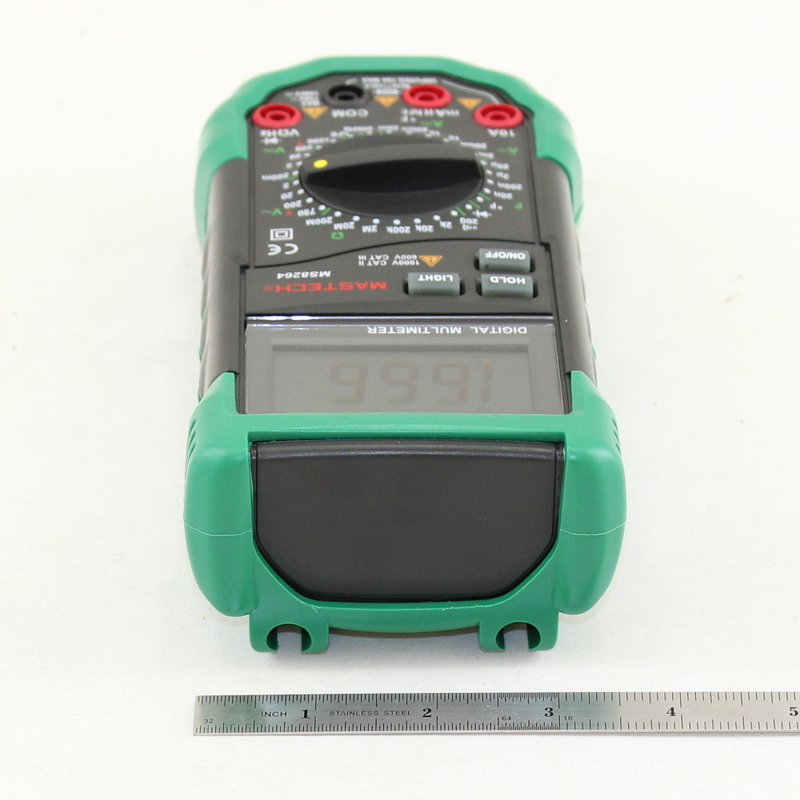 The CSIMS8264 is a multi function Digital Multimeter that provides the features, accuracy and flexibility of high end name brand meters. As such, this budget meter is perfect for students, do-it-yourselfers, and even professional technicians or busy repair centers. Anyone who demands accuracy, durability and value from a rugged full featured digital multimeter will find it in the 8264. 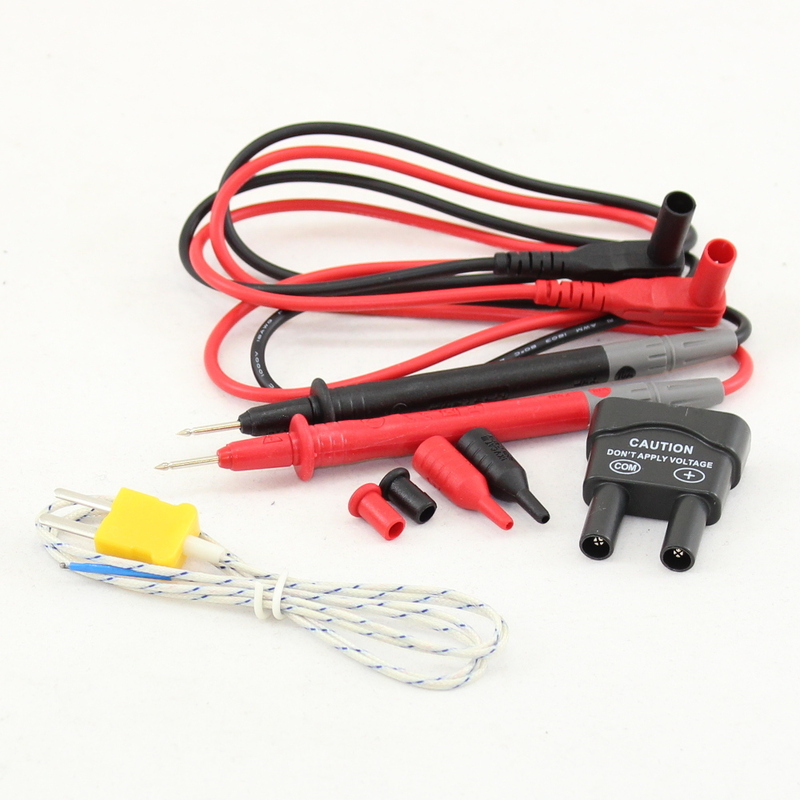 The CSIMS8264 ships with standard multimeter probes, as well as a K type temperature probe, multi function socket, safety designed test leads and a rugged, protective rubber holster. 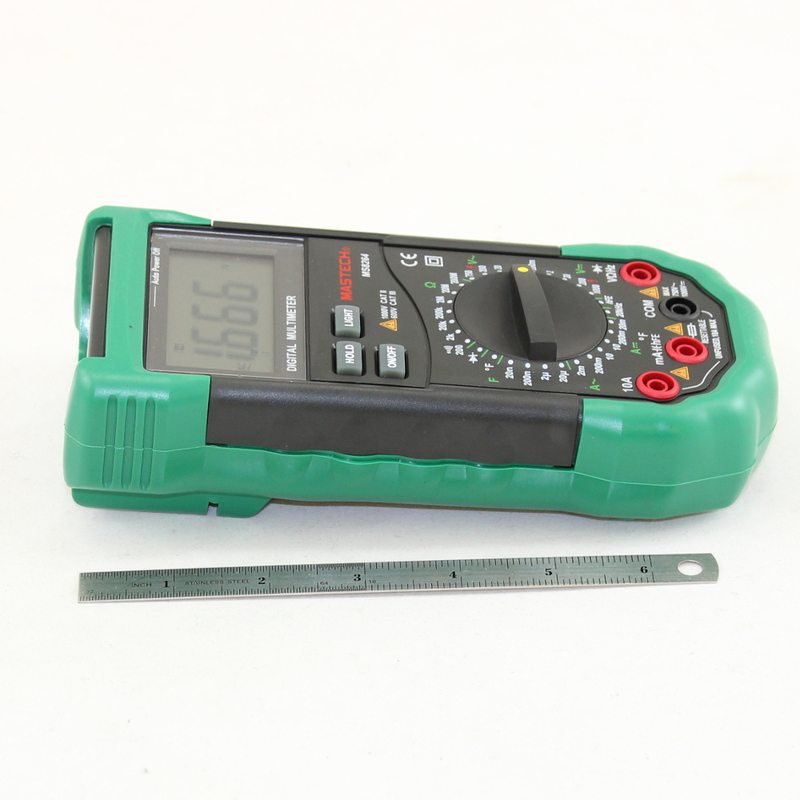 This unit is not a cheaply built mini-DMM, but a robust full sized, full function test meter. 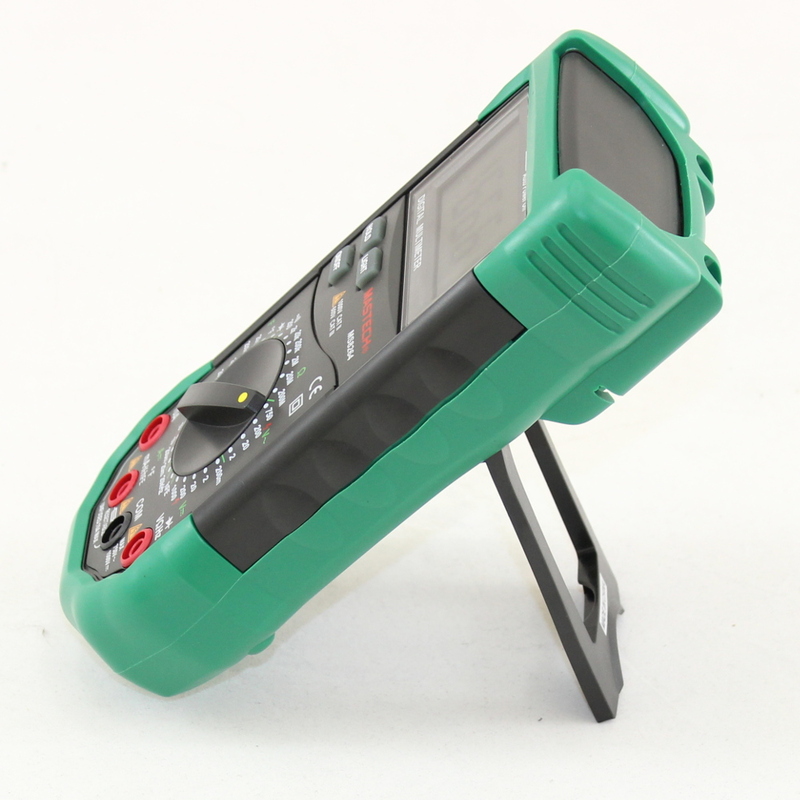 Aside from the many standard multimeter functions, like a backlit display, audible continuity testing, voltage, current and resistance; this DMM also includes hFE transistor testing, capacitance test, a K type temperature measuring capacity, a DATA HOLD function, diode test, even frequency reading. 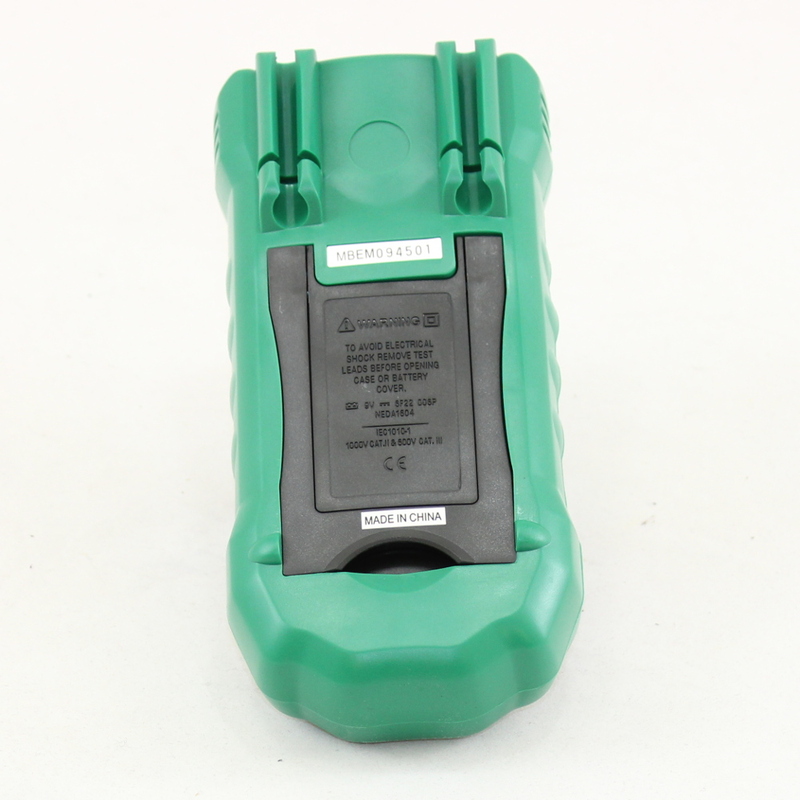 The CSIMS8264 is CAT II safety rated to 1000V & CAT III safety rated to 600V. 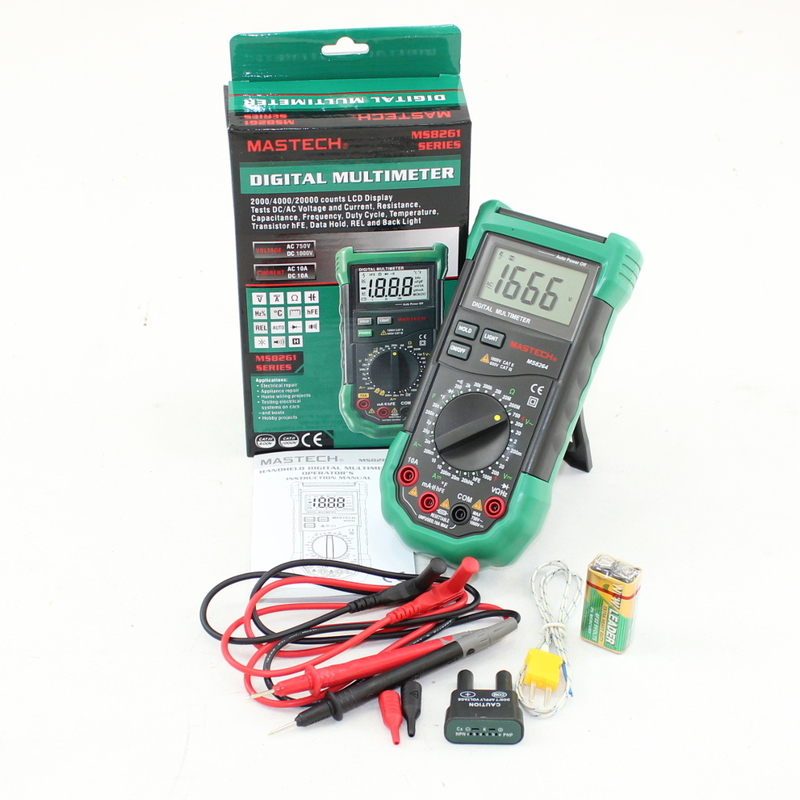 For more information, refer to the CSIMS8264 Digital Multimeter Owner's Manual. Here is a calibration guide for the CSIMS8264 for advanced users.